I am nervous. Nairobi has burst out of itself, like a rotting fruit, and I don’t think I like it. The taxi drives from the airport into the city center. 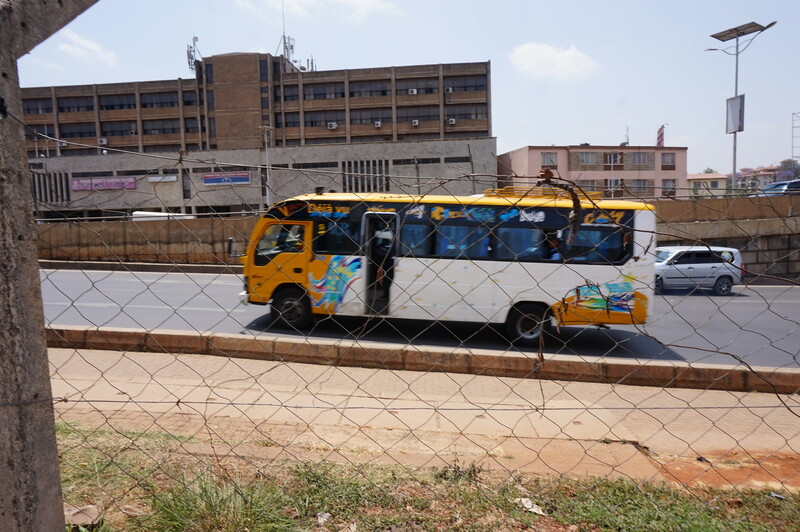 Around us are matatus, those brash, garish public transport vehicles. Manambas conduct the movement of the matatu, hanging out of the open doors, performing all kinds of gymnastics as they call their routes, announce openings in the traffic, and communicate with the driver through a series of bangs on the roof that manage to be heard above the music.